For the golfing fanatic, a very executive looking aluminium case with deluxe gold accessories perfect for the tea off! 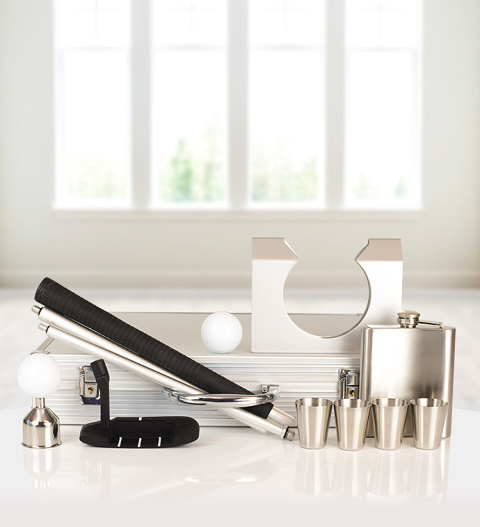 Complete with a decanter, collapsible golf putter. A gift that's sure to delight and is available for UK next day delivery.